The new SCORPION™ Trail II, the tyre that Pirelli has presented in the spring, has been elected as the best enduro street tyre by the authoritative magazine Motorrad. The edition 13/2015 of the German magazine has compared the new Pirelli SCORPION™ Trail II with Metzeler TOURANCE™ NEXT, Dunlop Trailsmart, Continental Trail Attack 2 and Michelin Anakee III. 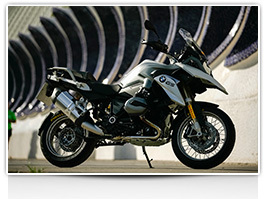 In the article it specified that the Bridgestone Battlax A40 were not included since it was not available at the time of the test. 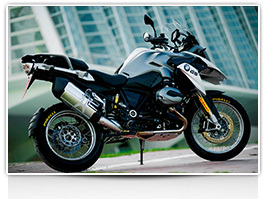 All tyres, in 110/80 R19 front and 150/70 R17 rear sizes, were tested by equipping six BMW R 1200 GS (R12). The test was carried out both on country roads and on highways, as well as on a specially ‘watered’ track in order to evaluate the performance in wet. In general, on road were taken into account parameters such as handling, precision, cornering stability, grip in lean, traction during acceleration, stability at full load, handling with a passenger, behaviour in extreme conditions and tendency to ‘straighten up’. In the wet test on track braking times at 100 kms/h, the angular velocity and the lap time were also evaluated. The behaviour of the new SCORPION™ Trail II in the wet surprised the journalist from Motorrad: the tyre has got the highest score in each of the individual parameters evaluated and in wet braking at 100 kms/h has stopped 6.1 metres before the Michelin Anakee III and 8.1 metres before the Continental Trail Attack 2 . In addition to recording the fastest lap (1.03,02) with a lead of about 3.5 seconds on Dunlop Trailsmart (1.06,43), of nearly 5 seconds on Michelin Anakee III (1.07,65) and about 6 seconds on the Continental Trail Attack 2 (1.08,84). Pirelli SCORPION™ Trail II was therefore the winner thanks to its top of the class wet behaviour combined with the attributes of sportiness and handling on dry roads that has always characterized Pirelli products. The tyre of the elongated P brand got 231 points in the final standings, out of a total of 250 available, confirming its position as the best product both on country roads and highway test as well as in the wet one and in front by 28 points to the last classified, the Michelin Anakee III. SCORPION™ Trail II is the direct successor of SCORPION™ Trail and is the synthesis of the meeting of two worlds: the field of off road competition and the ‘road trip’. 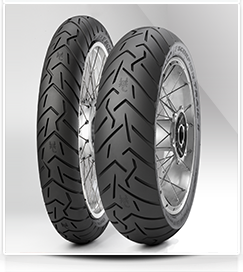 Designed for the most demanding motorcyclists, it features key points of excellence; high mileage, consistency of performance for its entire tyre life and top notch wet behaviour. SCORPION™ Trail II is the new Pirelli tyre specifically designed to meet the most demanding expectations of this market, with an aggressive tread pattern supported by strong technological innovations, giving good stability even at high speed, traction on dirt, handling, comfort and grip in all riding conditions. 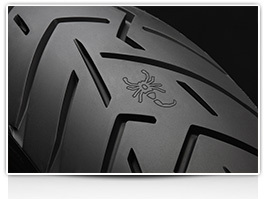 The name SCORPION™ recalls immediately the range of Pirelli products intended for use in off-road competitions not only in the two-wheel world but also on four wheels. The products in the SCORPION™ line are present in offroad car racing competition, in the Enduro and Cross Country Rally World Championships and in the Motocross World Championship in which the range of off-road Pirelli tyres has been the undisputed leader for over 30 years with 62 world titles gained. 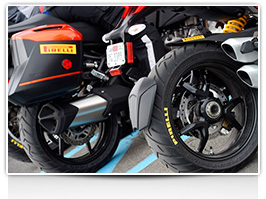 The enduro street market remains a segment where motorcyclists’ expectations are always high and where motorcycle manufacturers continue to invest in launching new uprated products which require always tyres able to provide higher performances as the new Pirelli SCORPION™ Trail II.